The discovery of the Staffordshire hoard in July 2009 was one of the most exciting archaeological finds of the last decade. Since then, a dizzying array of interdisciplinary research has taken place to see what this extraordinary collection of artefacts can add to our understanding of Anglo-Saxon England. In this Time Team special, Tony Robinson guides us through what has been found out so far, and it seems there are still many questions left to be answered. 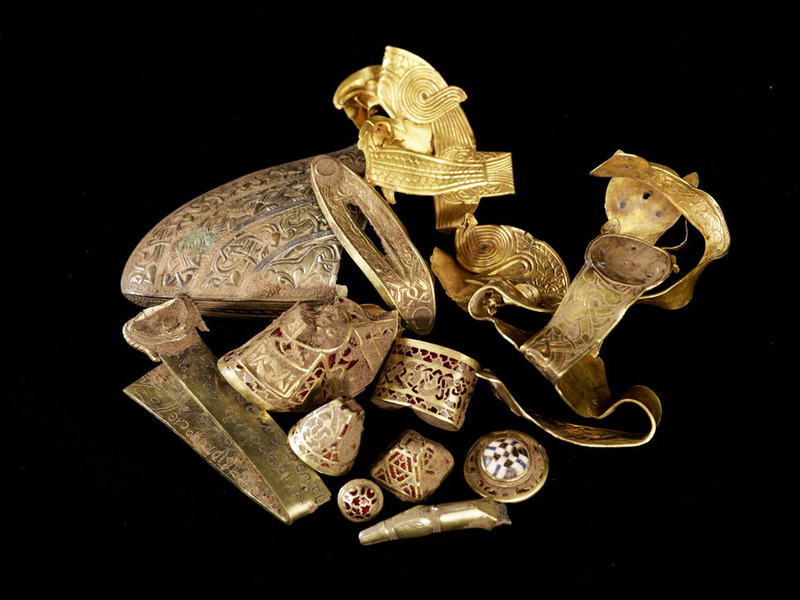 The story of how the hoard was discovered has all the hallmarks of a compelling narrative – a chance discovery, a lost treasure (in fact, the largest hoard of Anglo-Saxon gold ever found), and, hearteningly, a responsible detectorist who called in Birmingham Museum archaeologists as soon as he realised the importance of what he had found. In the first few minutes of the programme there is a little too much emphasis on how much the hoard is worth financially, but once we move onto what it is worth in terms of archaeological knowledge, a wealth of interesting facts are uncovered. Tony Robinson gives us the lowdown on what happened next, teasing information out of experts in his usual amiable ‘everyman’ manner – though after almost 20 years on Time Team he must have gathered more archaeological knowledge than he lets on. Even without Mick Aston, Phil Harding, et al, the lighthearted Time Team spirit is in full flow and Tony’s engagingly open sense of wonder sweeps us along with him. We are introduced to the broad armoury of expertise that has been called in to make sense of the hoard, from the environmental archaeologists and geophysicists doggedly reconstructing the 7th-century landscape in order to establish the find’s context, to the conservators who have taken on the challenge of piecing together hundreds of golden fragments – surely the most beautiful jigsaw puzzle in the world. Much has been made in the press of the beauty of the hoard and the drama of its discovery, but these quieter ‘behind the scenes’ details are just as compelling. One of the most remarkable details we learn is that cleaning the hoard is too delicate a task to be left to manmade tools. Instead, Tony watches a conservator painstakingly removing dirt from a garnet-encrusted artefact using the tip of a thorn. The patience of these people is absolutely awe-inspiring. We also find out about the analysis taking place on the hoard’s inscriptions and artwork, comparing them to symbolism in manuscripts and Anglo-Saxon jewellery. A particular highlight was the revelation that there is an early style where animals are drawn in a disjointed manner that is called Tiersalat – ‘animal salad’ – in German scholarship. 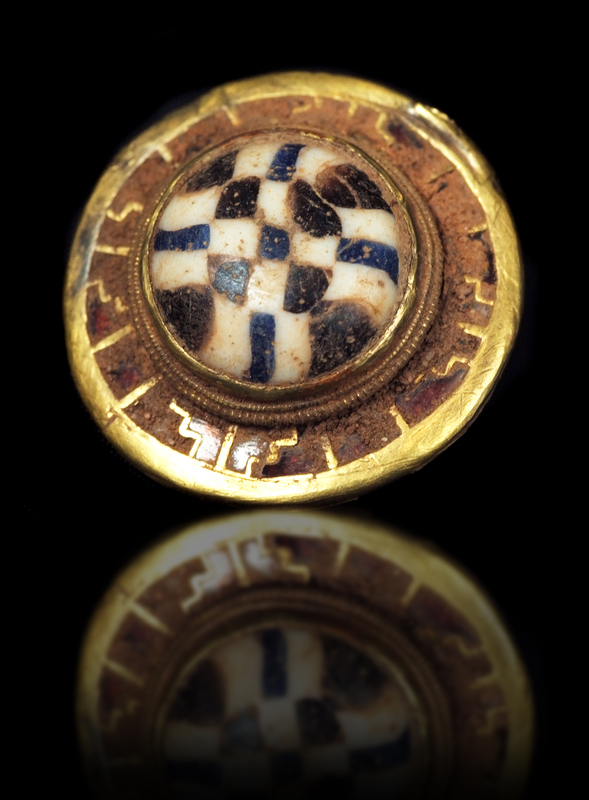 Meanwhile, examining the materials of the hoard – 11lb of gold and 3000 individual garnets, all imported – allows for some brilliant insights into Dark Age trade links with that Early Medieval superpower, the Byzantine Empire (as well as some surprising and surely budget-busting scenes filmed in Istanbul and Paris). All of this is accompanied by typically gorgeous Time Team graphics, as well as some enthusiastic re-enactments of Anglo-Saxon battles and an excursion to Sutton Hoo. Best of all are the lovingly lingering shots of the hoard itself, beautifully lit, which really let the artefacts speak for themselves. This programme offers few firm answers but does an admirable job of summarising outstanding questions and the current state of research. ‘The Anglo-Saxons loved riddles’, the Portable Antiquities Scheme’s Dr Kevin Leahy tells us, and it seems this spectacular find still has quite a few riddles of its own.